Welcome to the Theocratic Software Website! Theocratic Software provides useful applications for you to use with creating various schedules. Public Talks is designed to assist talk coordinators. 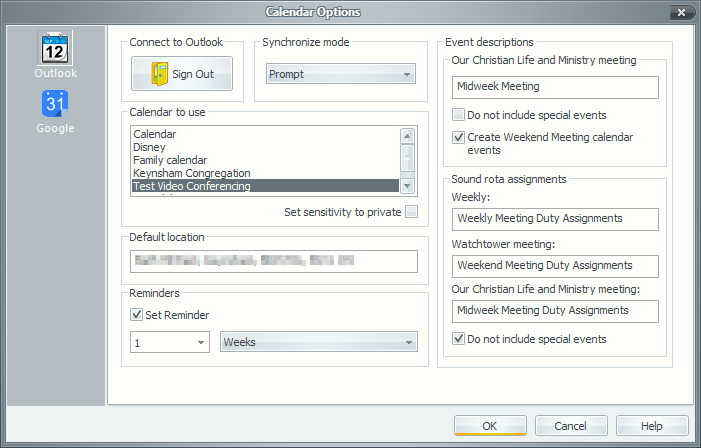 It is very easy to maintain congregation and speaker data and prepare schedules. 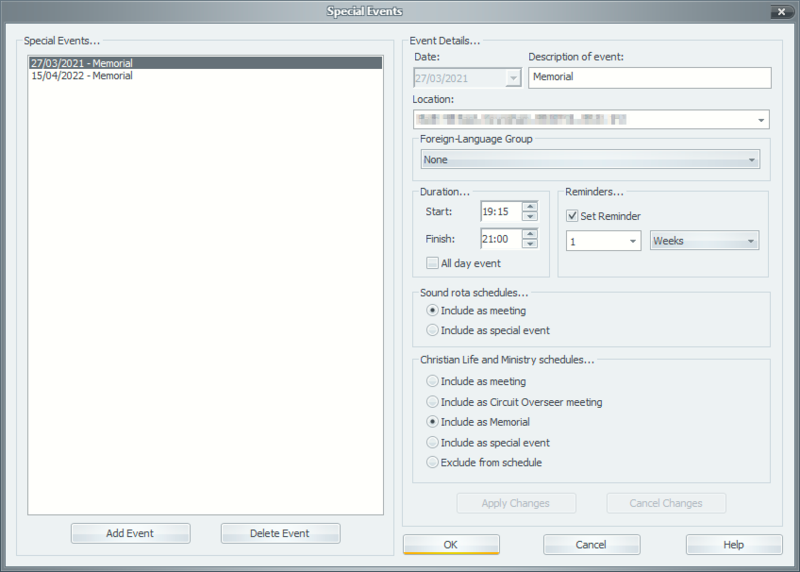 There are several standard schedules to choose from and you can also create your own with the internal script editor. A handy ribbon bar keeps all main program functionality at your finger tips. 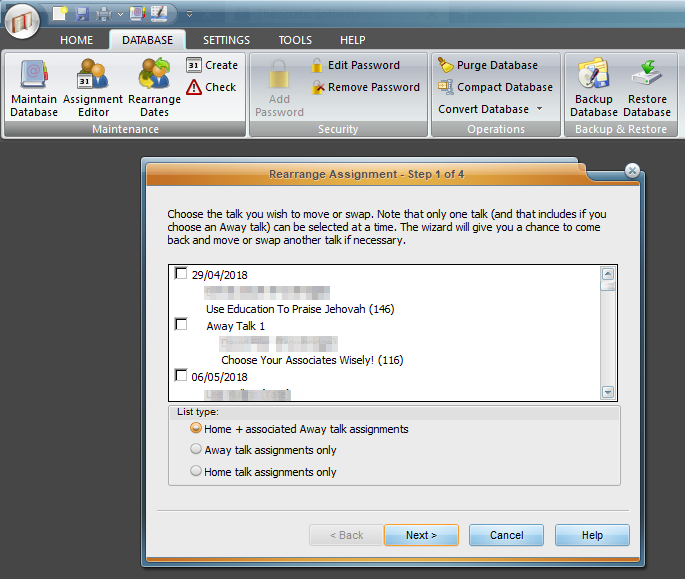 Specify your Home and Away talk assignments in one location. This is the Congregations Maintenance page. The custom script editor is a very powerful feature. 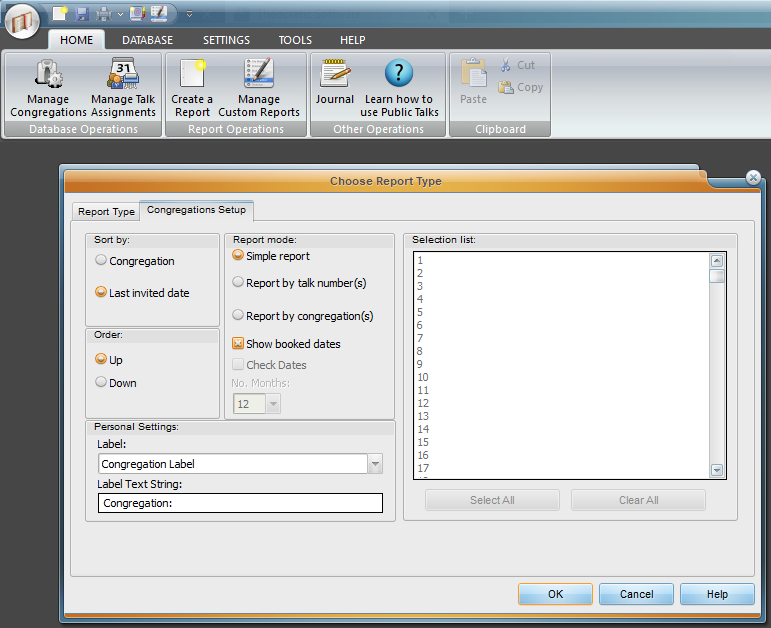 It allows you to write your own custom reports. Many settings can be adjusted to customize the look and feel of the application. These are the available options for the standard Talk Summary report. 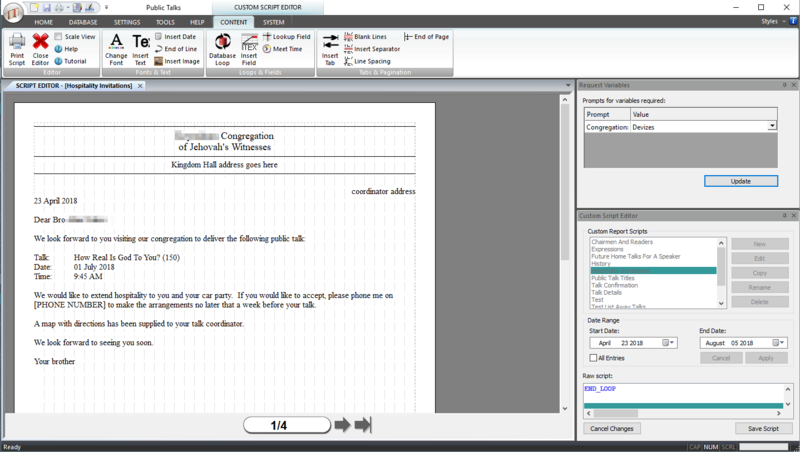 This is the available options for the standard Congregations report. 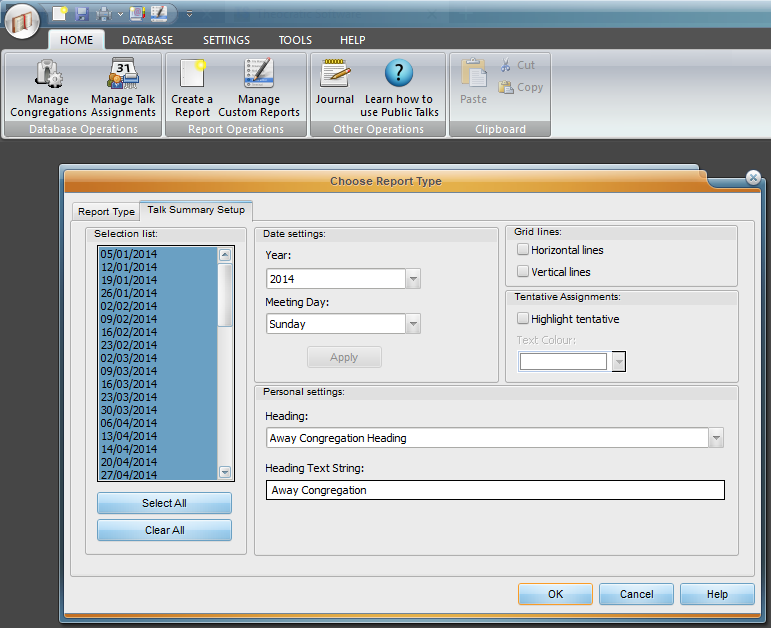 An example of a custom report. The possibilities are virtually endless. A handy wizard is provided to allow you to swap Home and Away talk assignments. Congregation data can be synchronized with other Public Talks users, making it very easy to keep the database up to date. Beginning with version 11.3.3 you can also send your talk assignments to your Google Calendar! 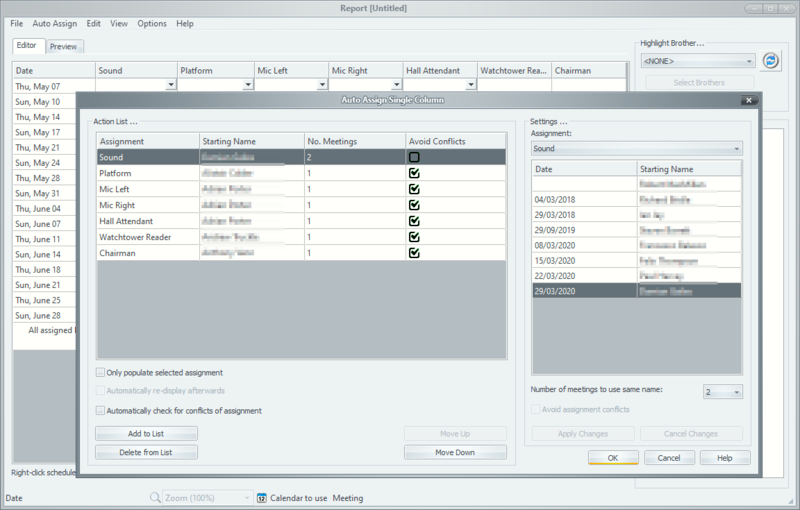 Meeting Schedule Assistant was formerly called SoundRota. So many features were added to the program that it needed a name change. 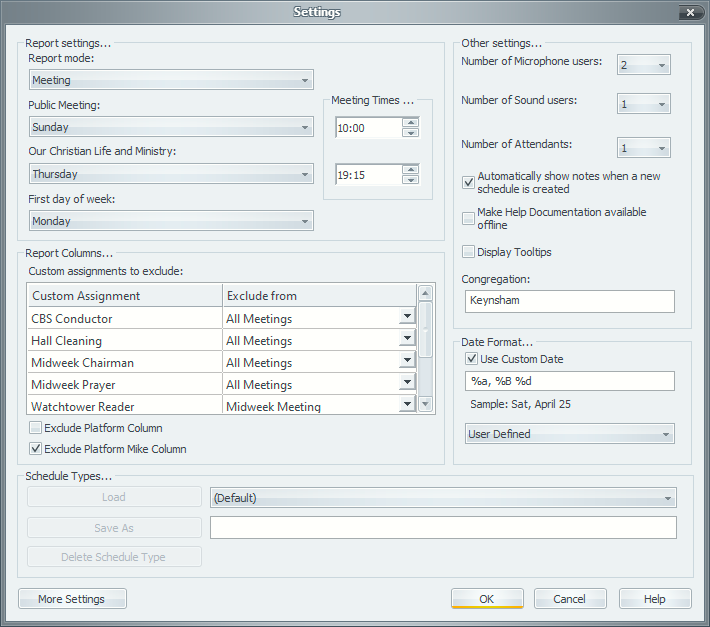 In December 2010 it was renamed Meeting Schedule Assistant. It is an application for creating a variety of schedules, such as a ‘Sound’ department or an ‘Attendants’ roster. 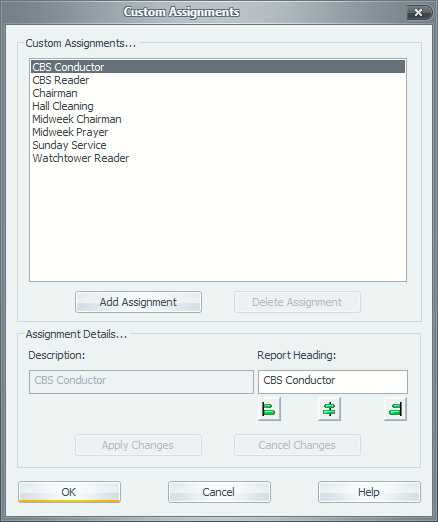 The Assignments Editor has auto-assign features. Application settings provide you even more flexibity. You can add your own custom assignments into the application. You can add special events into the application. These are then automatically included on your schedules. 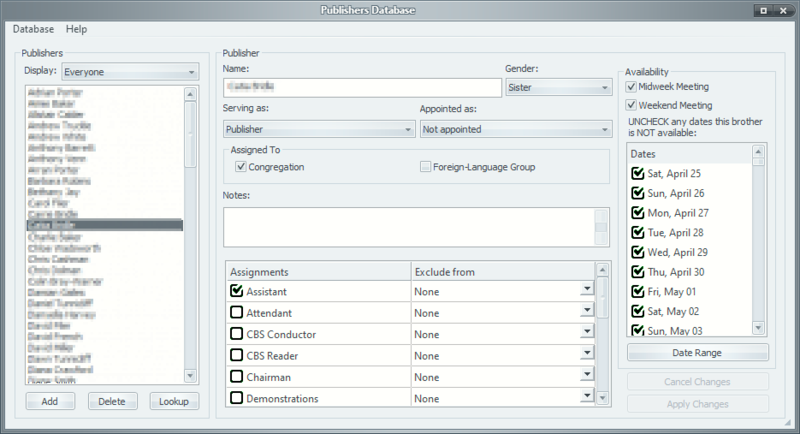 Manage all your publishers from one easy to use interface. Your schedules assignments can be syncronised with Google or Outlook calendars. 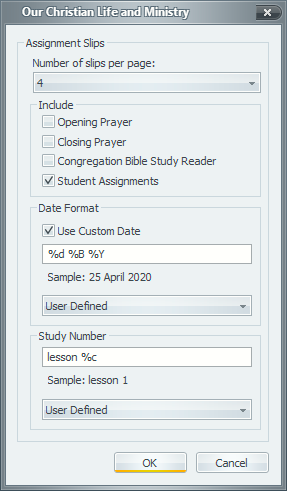 It also includes a dedicated Christian Life and Ministry editor which is also capable of downloading schedule content (not available for all languages) and generating personalized schedules. 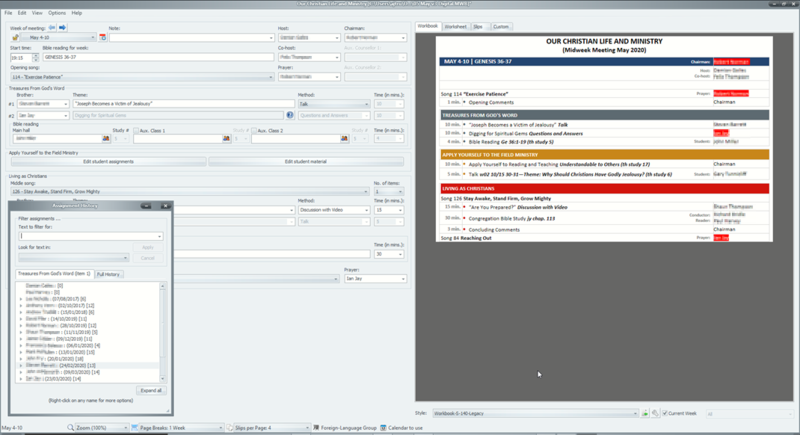 It also supports the printing of S-89 assignment slips. 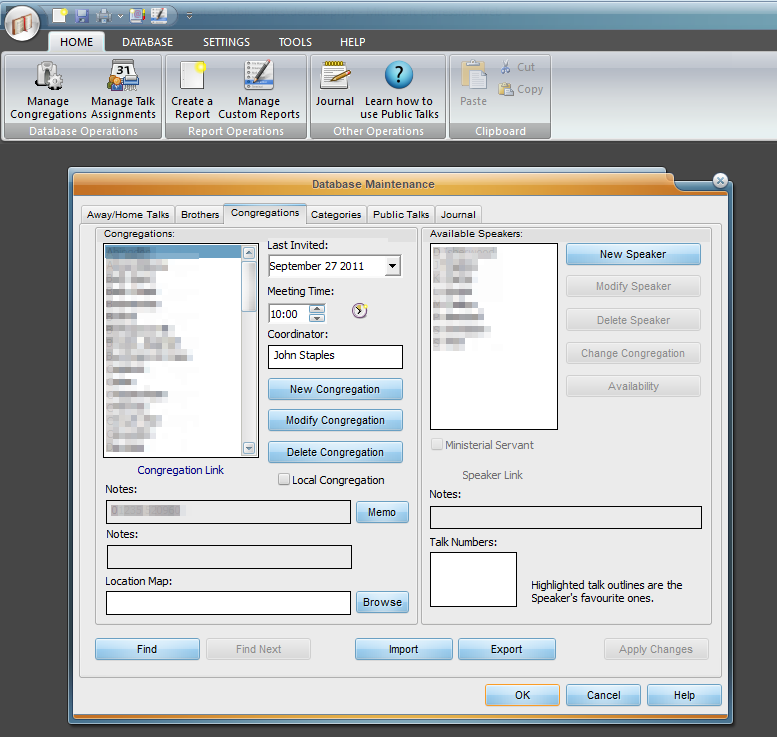 The S-89 assignment slip template files are not provided with the application. 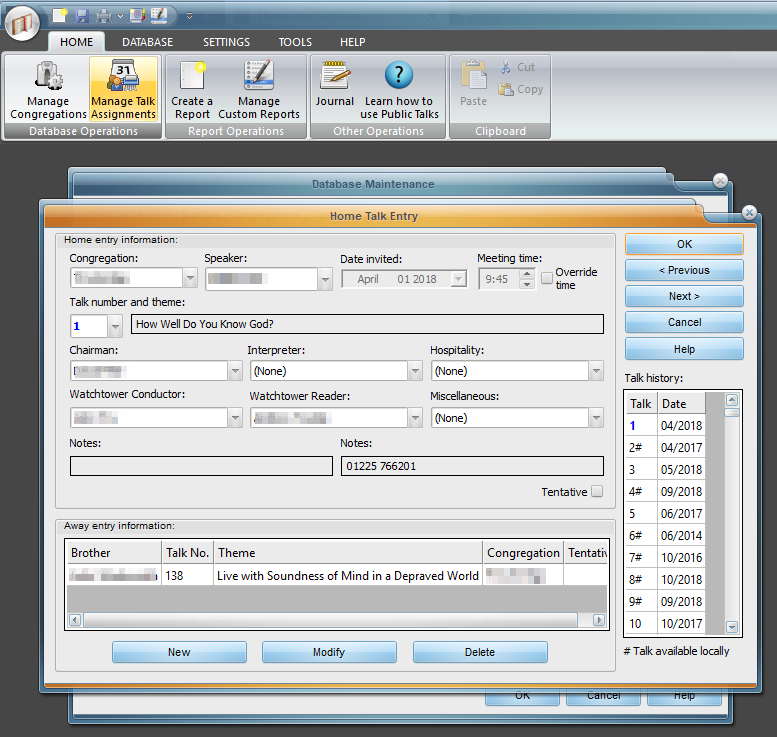 You need to email a copy of your PDF slip and in return you will receive the template files with instructions. You can also send your PDF file by using the Contact Form. Meeting Schedule Assistant can also communicate with the Public Talks program outlined above. This means that you can automatically exclude brothers from assignments if they have already been allocated for the same date in Public Talks. Beginning with version 11.3.5 you can also send your talk assignments to your Google Calendar! Also, beginning with version 17.2.7 you can also send your assignments to your Outlook/Outlook365 Calendar. Read more about it here. The Mailchimp newsletter is my primary way of keeping in touch. I provide updates about new versions of my software using this newsletter. You are encouraged to sign up. Please use this link (which is GDPR compliant). A big thank you to the brothers and sisters who have devoted their time in translating these programs into other languages. This is by no means a trivial task, and it has opened up these programs to many more users. Please contact me if you would like to maintain a translation of these programs in other languages. I would also like to gratefully acknowledge that appTranslator (*) was provided free of charge. 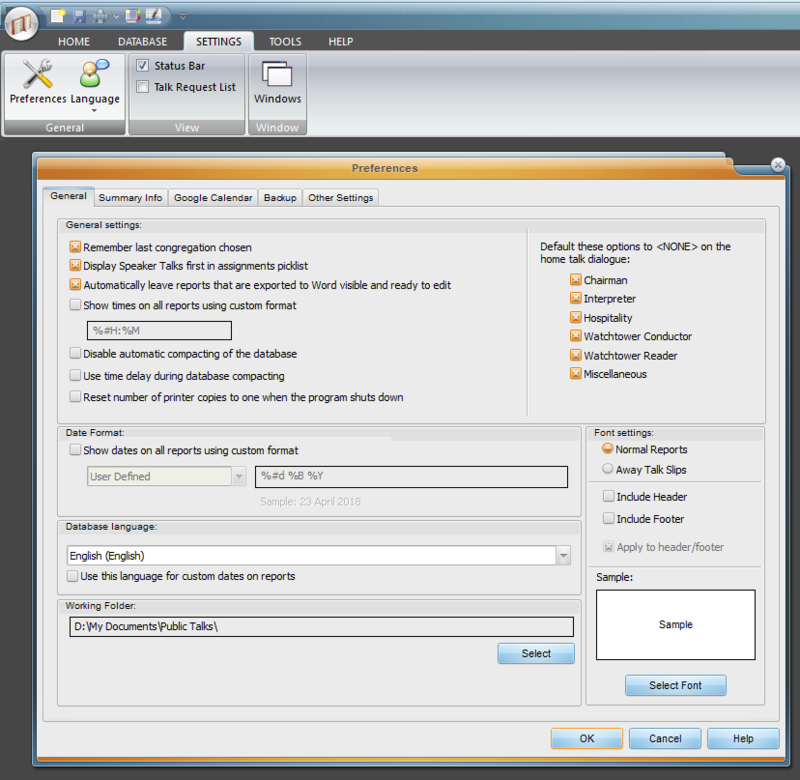 Without this product, language translation would have been much harder and time consuming. So thank you to the author of appTranslator (* no longer commercially available). My intention in making these programs available is simply to make our assignments a bit easier to manage and to hopefully free up some time for other important matters. So if they do this for you, then they have achieved their purpose! This website contains information only of interest to Jehovah’s Witnesses. For official information see: www.jw.org.